Rich Newton joined Premier Title Agency as Vice President - Commercial Escrow Services. Rich began his title industry career in 2005 mentoring under a high profile and well respected commercial escrow officer with another company. Janis Fults joined Premier Title Agency in April 2017 as Escrow Administrator. She is an industry veteran with over 40 years of experience in the Phoenix Metro area. Janis' experience with various types of escrow transactions provides a comprehensive knowledge of the real estate process to assist with all aspects of escrow. Janis prides herself in problem solving and that, along with her extensive knowledge of the industry, makes her an asset to the Premier Title Agency Team. Michelle joined Premier Title Agency with over 16 years of residential and commercial escrow experience. Michelle began her career as an escrow receptionist and worked her way up to a commercial escrow officer through hands on experience and dedication to her profession. Mason Womersley joined Premier Title Agency in June 2017 as a commercial escrow assistant. Mason has over 6 years of escrow experience in both the residential and commercial arena. 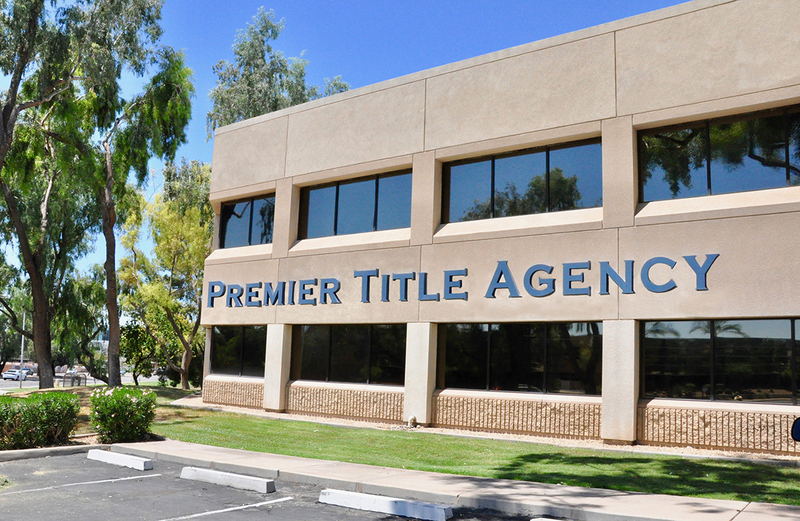 Beth Mancini joined Premier Title Agency as a Unit Manger in our Camelback location. Beth is a 19 year veteran of the Title Insurance Industry and is extremely skilled and knowledgeable in commercial, residential and refinance escrow transactions. Jim Balsbaugh joined Premier Title Agency as Senior Vice President of Commercial and Developer Services. He is a title industry veteran since 1983 with a diversified background in commercial and residential escrow, builder services, title search and examination, underwriting, and Internal Revenue Code Section 1031 qualified intermediary services. Tanner Herrick, Vice President of Business Development, leads commercial and residential client development for Premier Title. As a seasoned escrow professional, Tanner’s 15 years of title, escrow, and sales experience are an invaluable asset for clients. Tanner led property research development for the Southwest and managed the Trustee Sale Guarantee Division for one of the largest, publicly traded title companies. Having worked on a national portfolio, with transactions in every state, Tanner provides clients with confidence and surety in their real estate transactions.